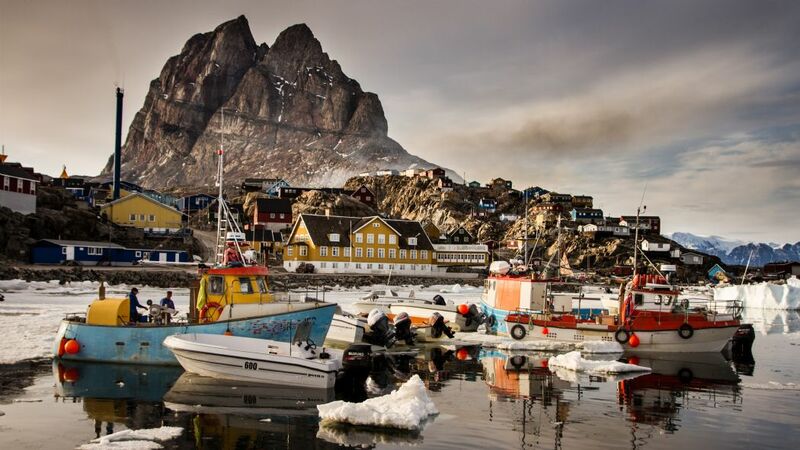 Uummannaq “heart-shaped” mountain raising sharply with 1175 meters just behind the town with 1310 inhabitants is a town in north – west Greenland in Avannaata municipality. You can find the island with 12 square km, 460 km north of the Arctic Circle. Position 70º 40’N 52º 08′ W. That means the sun never sets down for 2 months during the summer. Midnight sun is from April – August. Uummannaq has 2 grocery shops, lumber yard, furniture / fishing gear shop, small shops for clothing / toys etc, takeaway / Café, bar, gem, school, fishing fabric, etc. If you want to experience the real Greenland come to Uummannaq. Majestic surroundings, harsh natur with more than 2000 meters high vertical mountains, rare vegetation, more than 10 glaciers and many icebergs. And a population has lived generation after generation of hunting and fishing with a boat and by dogsledding is just the natural parts of their life. Here you will find hospitality, a sens of humor and respect for nature around them. 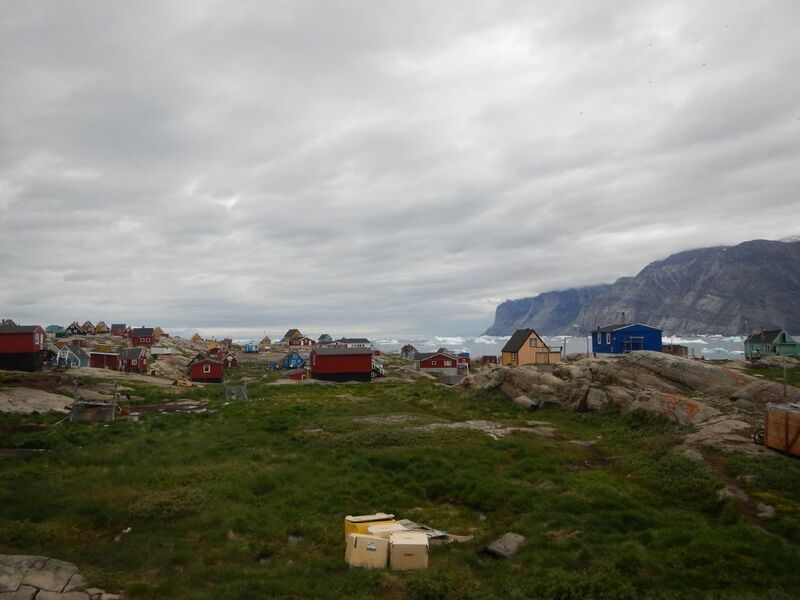 Uummannaq has 7 settlements located around Uummannaq area. (Niaqornat, Qaarsut, Ikerasak, Saattut, Ukkusissat, Nuugatsiaq and Illorsuit). And most of the settlements can be reach less than 2 hours sailing. Waters around Uummannaq area are rich with animals like, Fin whales, Minke whales, Humback whales, Pilot whales, deferent kind of seals and there have been seen Greenlandic whales and Killer whales. Also during the winter (November – January) you can see Belugas, Narwhales even the Greenlandic whale. Since there is more than 10 glaciers you can see impressive icebergs everywhere! Uummannaq has a small but interesting museum, it housed in the old hospital dating from 1880. In 1972 there have been found 8 mumies in Qilakitsoq and the copies of clothing can be seen in the museum. Here you can also see exhibits as the two motor – driven sledges used by polar explorer Alfred Wegener known of his theory on continental drift. There is also a fine collection of a traditional Greenland crafts, kayaks, “womans boat” umiaq, tent, hunting implements and memorial to Edward Kruse. 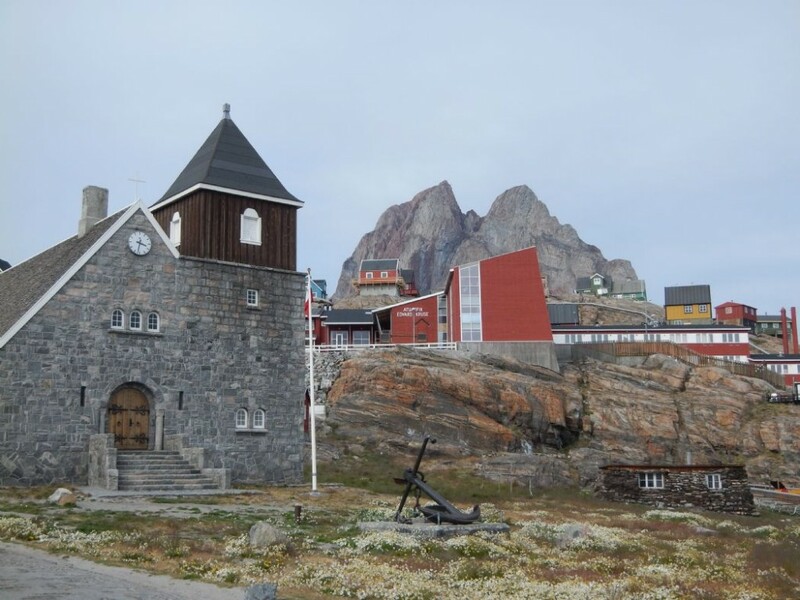 Sightseeing in Uummannaq, you have a opportunity to see unique church built in 1935 it is constructed of granite boulders chipped from the nearest hillside. Including a number of old buildings and preserved earthen houses. One of these was used right up until 1980. You can also hike to Santa Claus summer residence, the house is built in traditional Greenlandic way. The house is built beneath the impressive mountain of Uummannaq and you can reached approx. 1 hours walk from the town. Here are some movies about Uummannaq where Uummannaq Seasafaris have helping the tv – crew with organizing transport, accommodation, translation and guidning.